Cindy's Antique Quilts offers a wide selection of quality American made antique/old/vintage quilts including antique crib quilts, antique doll quilts, antique/Victorian crazy quilts, patchwork quilts, applique quilts, whole cloth quilts, embroidered quilts, kit quilts, Amish quilts, quilt tops, quilt blocks, feed sacks and much more. 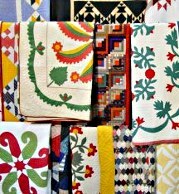 We have a selection of over 300 quilts in inventory. 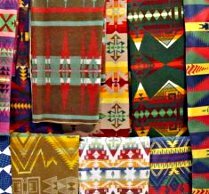 We also offer for sale collectible vintage Indian trade and camp blankets that include Pendleton, Cayuse, Beaver State, Oregon City, Racine, Capps, Beacon, Esmond, 1950's cowboy bedspreads and others. You will also find some cowboy, Indian, western items and A Brandt Ranch Oak Furniture. Glad you stopped in for a visit and enjoy your time shopping. 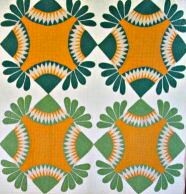 Check out the Know Your Dealer page for more information and please join our email list..
©2004 - 2019 Cindy's Antique Quilts, All Rights Reserved.